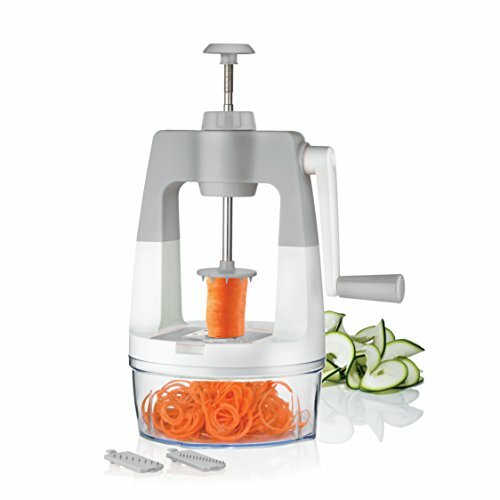 Vegetable Spiralizer Slicer - For Zucchini, Carrots, Potatoes and much more.. The ScharfPro™ Vegetable Spiralizer 'Self-pressure' feature enables to spiralize quickly and effortlessly, without applying any pressure onto the vegetable. The patented threaded vertical shaft and arm automatically applies pressure onto the vegetable; simply turn the handle and transform your veggies or fruits into beautiful strands. Absolutely no elbow-grease needed! Make professional looking garnishes in mere seconds; create zucchini noodles, curly fries, cucumber ribbon strands, onion rings, apple strands and much more in a matter of seconds. Get your family to eat more vegetables and fruits with these exciting designs. Use with a variety of firm vegetables and fruits including zucchini, cucumbers, potatoes, carrots, apples and much more. 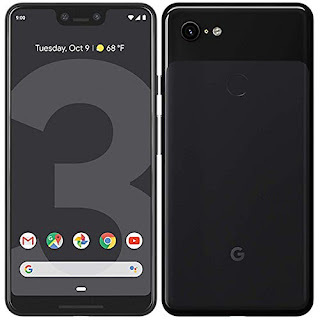 Constructed with extra heavy-duty reinforced plastic and stainless steel. Engineered and manufactured according to the highest standards of performance.. The ScharfPro™ Vegetable Spiralizer was designed to be safe, with absolutely no need to keep your hands near the blades. Simply turn the handle, and the 'Self-pressure' feature will push the veggie down onto the blade. Turn your vegetables and fruits into amazing garnishes in matter of seconds - safely!..